Many parents needlessly worry when their toddler has a fever. Every parent has felt their child’s hot, feverish forehead and worried. Is it serious? How high temperature is too high? Should they go to the doctor immediately? Parents actually can get “fever phobia”, when most fever in toddlers is actually quite harmless. FACT: Children can feel warm for a many reasons such as playing outside, crying hard, or being active. Use a thermometer for an accurate temperature. Most pediatricians consider a temperature above 100.4°F (38°C) as a sign of a fever. FACT: Fevers are a sign of a healthy immune system. Normal fevers below 104° F (37.8° – 40° C) are actually part of the body’s natural protective mechanism. FACT: Fevers with infections don’t cause brain damage. Only body temperatures above 108° F (42° C) can cause brain damage which only occurs with extreme environmental temperatures (for example, if a child is left in a closed car in hot weather). MYTH: Seizures triggered by fever (febrile seizures) can harm any child. FACT: Only 4% of children can have a febrile seizure. While febrile seizures are scary to watch,they usually stop within 5 minutes and do not cause permanent harm. If you child does have a febrile seizure, they are not at greater risk for developmental delays, learning disabilities, or other types of seizures. 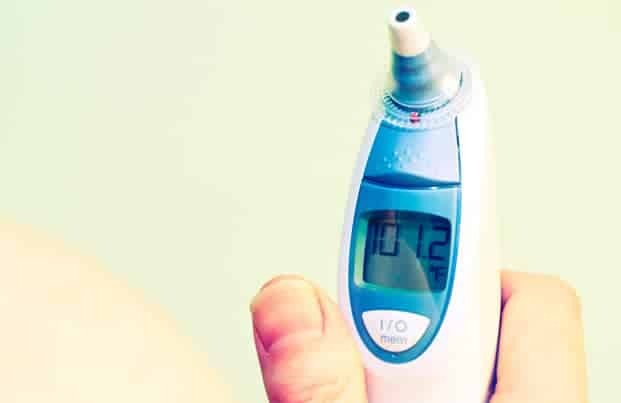 FACT: Some children feel fine when they have a fever and do not need treatment unless they have discomfort which usually occurs only above 102° or 103° F (39° or 39.5° C). FACT: Wrong. The brain has a thermostat preventing fevers from going above 103° or 104° F (39.5°- 40° C). High fevers of 105° or 106° F (40.6° or 41.1° C) rarely occur and they are also harmless. 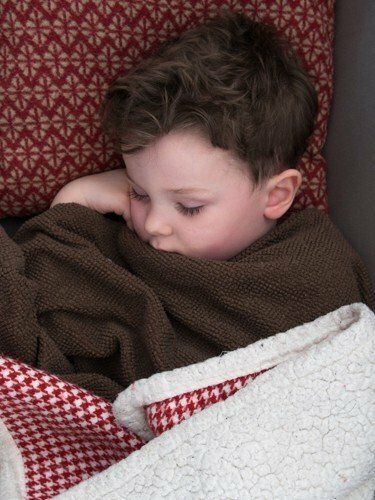 FACT: A child may still have a low fever even with medication. Fevers usually only go down 2° or 3° F (1° or 1.5° C) with treatment. FACT: Fevers that don’t respond to medication can be caused by viruses or bacteria and is not related to the seriousness of the infection. FACT: Fevers typically last for 2 or 3 days with most viral infections. Therefore, when the fever medicine wears off, the fever will return and need to be treated again. The fever will go away and not return once your child’s body overpowers the virus (usually by the fourth day). 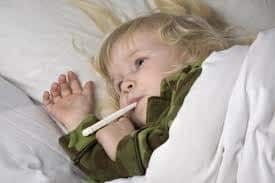 FACT: How sick your child feels and looks is a better indication of severity than the exact temperature of a high fever. MYTH: Temperatures between 98.7° and 100° F (37.1° to 37.8° C) are low-grade fevers. FACT: The body’s temperature normally changes throughout the day. It peaks in the late afternoon and evening. An actual low-grade fever is 100° F to 102° F (37.8° – 39° C). Fever in toddlers is a healthy sign the body is working properly to fight and overcome an infection. Most fevers go away in a couple of days, but parents should monitor the overall health of their child and contact their pediatrician with any concerns. Call your doctor if your child’s temperature reaches 102.2º F or higher. Call your doctor if the fever lasts four days or more. Call the doctor right away if your feverish child has vomiting or diarrhea, earache, severe abdominal pain, headache, stiff neck, sore throat, trouble breathing, pain when urinating, swollen joints, other localized pain and a purplish/dark rash that does not fade when you press on it. Call the doctor if your child is listless or refuses to drink fluids.